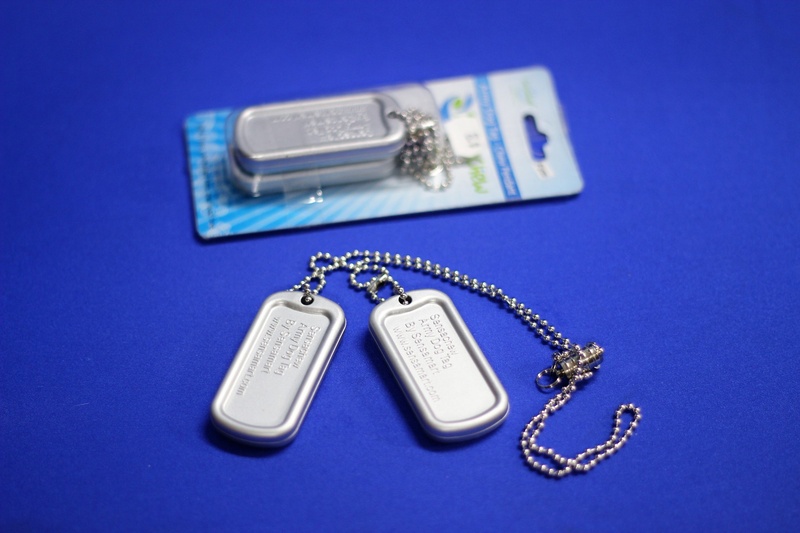 The Sensachew Army Dog Tags are a fashionable chew pendant specifically designed for older children/adults. Provides a safe option for those who seek out chewing/mouthing on objects. The magnetic safety closure is a great way to secure the chain, which will easily pull apart under slight pressure. Can also be attached to the Sensachew Retractable Keychain. Comes in a soft or firm level of hardness. Available in a variety of colours and a strength or either 'Soft' or 'Firm'.